In areas that are remote, impoverished, or torn by the tumult of war, getting books to children is almost impossible. These young people have limited opportunities for education, making it hard for them to move from poverty to self-sufficiency. Join the conversation on social media using #ReadersIntoLeaders. We know one book can change a person’s life. 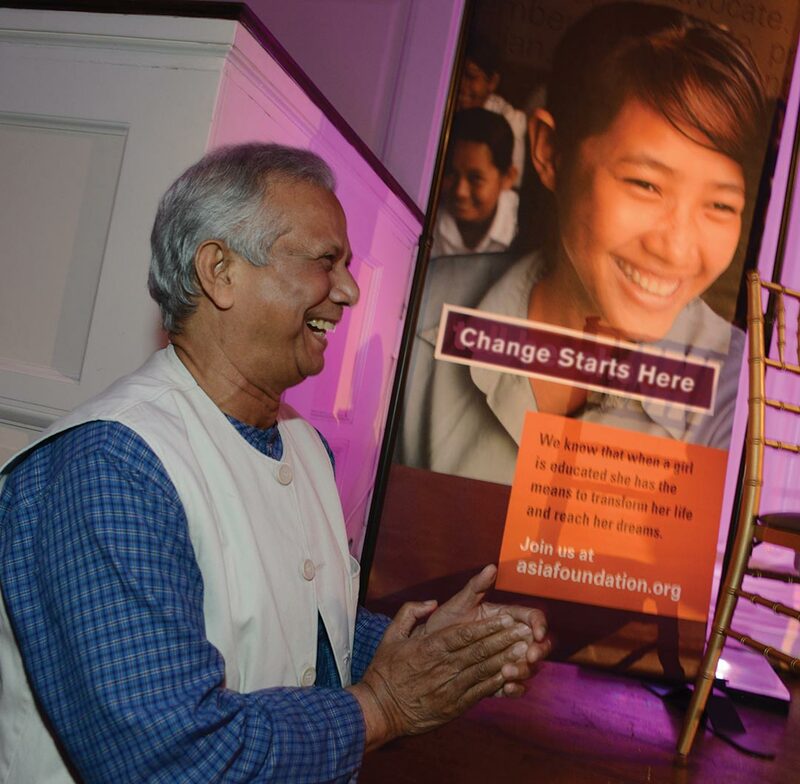 Just ask Nobel Laureate Muhammad Yunus, founder of microfinance. He remembers as a young student at Dhaka University waiting in long lines to check out badly worn library copies of the few textbooks available. When The Asia Foundation donated textbooks for all the students, their lives were changed forever. Each year, The Asia Foundation delivers millions of books to the neediest. Now, we can reach even more thanks to our free digital library, Let’s Read, which will provide more than 8000 titles in 40 languages across Asia by 2020.
advances the skills of a local children’s book author. builds a local-language library of 100 books through expert translation. translates 10 books into a child’s local language. sponsors a national reading challenge that inspires children, families, and communities to read. creates a brand-new beautiful children’s book. endows our Heroes of Asia biography series featuring influential Asian women and men. Access to books is crucial to unleash young people’s imaginations, possibilities, and heighten awareness of opportunities. That’s why I support The Asia Foundation’s state-of-the-art digital library, Let’s Read, getting books into the hands of young readers.